Why Use AC SMART TECHNOLOGY? Three simple words: To Prevent Overcharging. Overcharging your system produces the same result as undercharging – Hot Air in the vehicle cabin. So getting your refrigerant fill correct is the key to recharging your A/C system. That’s why AVALANCHE developed SMART CLIPS and SMART COUPLER technology: to measure vent temperature and visually show you when you have added enough refrigerant. Want to learn more about overcharging? See what gauge customers have to say about thier bad experiences. Recharging your Auto A/C System just got safer and easier with the new SMART COUPLER from AC Avalanche. 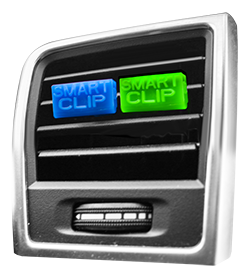 The built-in Pressure Check indicator helps prevent overcharging by rising to remind you to check SMART CLIPS! It’s easy as 1, 2, 3! Place both SMART CLIPS into your center air vent. Turn your A/C to maximum cooling. Add refrigerant until SMART CLIPS change color. Using thermochromic technology, the first Smart Clip will change from white to blue indicating that you are approaching the correct fill. The second Smart Clip changes from white to green, indicating that the fill is complete. 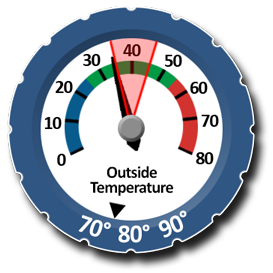 Please note that if the outside ambient temperature is above 95°F, only the blue Smart Clip needs to change color for the correct refrigerant fill. Leave SMART CLIPS in the vent and recheck when the temperature falls below 95°F to make sure the system is fully charged! Why not use a low-side gauge to see if your system is charged correctly? Because low-side gauges do not work on many of today’s vehicles. Modern A/C systems use a Thermal Expansion Valve (TXV) with a sensor bulb, which can cause inaccurate pressure readings! 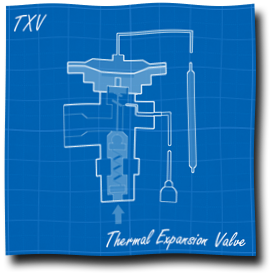 A TXV regulates the flow of refrigerant into the evaporator and also meters the evaporator outlet temperature. In this way, the valve sets a maximum operating pressure at the evaporator outlet, which gives more efficient cooling by controlling the Super Heat. This means that once the maximum operating pressure is reached, the TXV regulates the refrigerant flow to the low side of the system. How does this cause Overcharge? 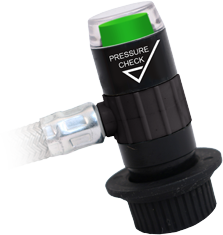 Once your system is full, if you use a gauge to measure the pressure on the low side of an a/c system, you are only measuring the amount of pressure after the TXV has regulated the refrigerant flow. If the maximum pressure, regulated by the TXV, is below the suggested fill range of the gauge, the gauge will give a false reading. 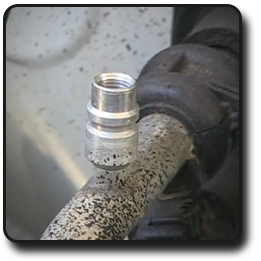 As you add more refrigerant, your gauge pressure never increases, but your refrigerant fill does! What happens if you keep trying to get your gauge pressure to increase?? Overcharge! 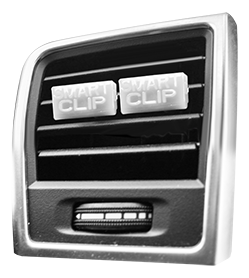 So, Take the Pressure out of Recharging your Auto A/C, using Smart Clip Technology!